It is perhaps the ultimate irony that advocates of attachment parenting who reject vaccination because of fear of autism have ignored the possibility that it is attachment parenting itself that causes autism. 1. Both autism and attachment parenting have increased dramatically in the past two decades. The origin of the attachment parenting is credited to Dr. William Sears, who first mentioned it in his book in 1988. Studies show that in the VERY SAME YEAR, the incidence of autism began to rise dramatically. (Environ. Sci. Technol., 2010, 44 (6), pp 2112–2118). 2. Regardless of who practices attachment parenting or how they define it, no one can deny that the practice of attachment parenting ALWAYS precedes the diagnosis. There are no known cases in which attachment parenting practices began after autism was diagnosed. 3. The purported mechanism is thought to be the sensory deprivation caused by baby wearing and extended breastfeeding. During the critical early months and years, when babies should be learning about the world and making millions of neuronal connections, babies exposed to AP are deprived of contact with the outside world (many are constantly carried in a position where they can see nothing but the surface of the mother’s clothing) and their exposure to other individuals such as fathers, grandparents and childcare workers is severely limited. 4. No one has EVER shown that attachment parenting does not cause autism. 5. 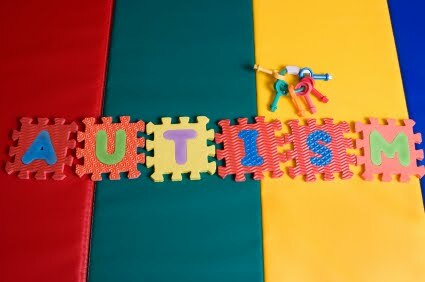 Even those who strongly reject the notion that attachment parenting causes autism acknowledge that there are MANY children raised with attachment parenting who are subsequently diagnosed with autism. 6. Many of those who deny a link between attachment parenting and autism stand to lose money if attachment parenting is shown to be harmful. Authors, lactation consultants, and sling manufacturers, among others, have a strong economic motivation for discouraging investigation of this link. It is time to launch a comprehensive investigation of the harmful side effects of attachment parenting in general, and the relationship between attachment parenting and autism in particular. It’s hardly coincidental that the same people who make money from attachment parenting have NEVER bothered to study these harmful effects. They insist that attachment parenting is beneficial, but there is no way they can know for sure. Those who have read this far have probably figured out that this is a satire. I’m satirizing the “thinking” of vaccine rejectionists on the purported relationship between vaccines and autism. The purpose of the satire is to demonstrate that what seems to vaccine rejectionists to be compelling “reasoning” is nothing more than nonsense, and logical fallacies. I’ve tried to highlight the major rhetorical gambits of vaccine rejectionists. Number 1 is the claim that because both vaccination and autism have risen in recent decades, vaccines must cause autism. That claim is foolish as can be seen when the same observation is made about attachment parenting and autism. Just because the incidence of two phenomena rise at the same time does not mean that one caused the other. And that doesn’t even take into account the fact that rates of vaccination have actually been FALLING while rates of autism have been rising. Number 2 is the temporal connection. Early childhood vaccination precedes the observation of autistic symptoms, but a lot of things precede the observation of autistic symptoms. That’s because those symptoms typically do not appear until the early toddler years and anything that takes place during infancy (like attachment parenting practices) will precede the observation of symptoms. Number 3 invokes a spurious mechanism of action. It is certainly plausible, but no evidence is presented that it actually occurs. Vaccine rejectionists play the same tricks with claims about the deleterious effects of “toxins” in vaccines. Number 4 is the “argument from ignorance.” The argument from ignorance dares the opponent to prove a negative and when a negative cannot be proven (since that is a logical impossibility in most cases), the conclusion is proclaimed that this “shows” that vaccines cause autism. Number 5 is the “fallacy of the lonely fact.” Since some children have developed autism after their parents practiced attachment parenting, the conclusion is drawn that large numbers of children will develop autism after their parents practice attachment parenting. Number 6 is the conspiracy theory that undergirds almost every attempt to defend vaccine rejectionism. But when the same “reasoning” is applied to attachment parenting, it is easy to see that the conspiracy theory does not have much explanatory power. There is ALWAYS someone who stands to benefit from any recommendation or practice. That does not mean that those who benefit are actively hiding information on harms and risks from everyone else. The concluding paragraph is the seemingly innocuous call for “more research.” But we cannot and should not waste time “researching” connections that have no basis in science. If we did, we could spend a lot of time “researching” whether the moon is made of green cheese or whether clouds are made of marshmallows. The call for “more research” is just away to add gravitas to what are often ridiculous claims. We do not need to “research” every wacky idea that vaccine rejectionists devise and our refusal to “research” those ideas without basis in science or logic is not a sign that someone is hiding something. The key point is that what passes for “reasoning” among vaccine rejectionists is not reasoning at all. It is nothing more than wild accusations, logical fallacies and conspiracy theories. There is no more reason to take seriously the idea that vaccines cause autism than there is to take seriously the idea that attachment parenting causes autism. ← Vaccine conspiracies abound; why not antibiotic conspiracies? Be rude then because idiots need someone to point it out as they are not intelligent enough to see it on their own. You think SHE sounds angry? Congratulations, you are immune to Satire! Yes, also what is their area of expertise and where do they work? Could you provide the titles of the papers they have been involved with publishing? Many studies have been done that show there is no link between vaccination and autism. They’re usually not just a statistical comparison of the two groups because it would probably show more vaccinated kids with Autism for the simple reason that over 90% of the general population are vaccinated. A lot more has to go into proving a causal link between the two and it’s been done multiple times. If you don’t trust the FDA take comfort in the knowledge that many of those studies were undertaken by scientists with no affiliation to any government with funding from non-governmental sources. Clearly IBM causes autism. Correlation, causation, and all that :). Also, when you try and find an unvaccinated child, you need to look further then just the child being unvaccinated; but did the mom get a flu shot during the pregnancy, etc? There are so many variables. zeisel, “There are so many variables. Vaccination status (child or mother) isn’t one of them. This reasoning misses one essential point: attachment parenting does not inject fragments of viruses and bacteria into the bloodstream. What’s worse is that you cannot figure out this is satire. Along the lines of your arguement though, ultrasound doesn’t inject virus or bacteria, but has been implicated in causing autism. So maybe bacteria, viruses, sound waves, medicines, or behavior rearing can all easily cause autism. Good thing vaccination doesn’t either. Stop spreading misinformation and read a science book.